Floral Expressions School Fundraising Program is here to relieve the burden of fundraising by local schools. From Trivia Nights, to Fetes, Bingo, graduations, dances, car boot sales, etc, the demands for extra funds are never ending. We also have children in primary schools and we understand how important fundraising is to our school in buying books, technology, sports equipment and so on. Therefore, we would like to offer you an opportunity to participate in our Floral Fundraising Programme developed especially for schools. It costs you absolutely nothing to join, or to maintain, or to participate. The way it works is simple: every time a staff member, or a parent from your school buys flowers from Floral Expressions, we will donate 10% of the purchase price back to the school. Every day your school community has special occasions that result in flowers being bought, or sent: birthdays, new babies, anniversaries, get wells, goodbyes, graduations etc. These flowers are currently being bought in a variety of florists, or online. Let’s encourage these purchases to actually benefit your school. So, if a parent is buying flowers for Valentine’s Day, or for Mother’s Day, or any occasion from Floral Expressions, your school will receive 10% of their purchase price in the form of a cheque. Your schools'staff and parents (as well as their extended family) need to advise us your school’s name at time of purchase and we will allocate 10% of their purchase towards your school. We will also provide your school with a unique code for internet purchasing. The idea is very simple and requires very little effort from you. Naturally, the more you promote the idea to your school community, the better the results will be. We suggest promoting the program in the school newsletters, during parents meetings, during fundraising drives and before major occasions such as Mother’s Day. 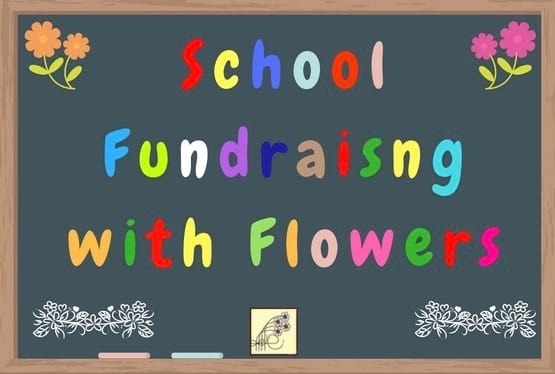 The School Fundraising Program is provided in association with the Australian Florist Network. Register your interest here.